Store, protect, and access your critical business information and systems from anywhere at any time! Axcient provides a hybrid premises and cloud hosted solution offering backup, recovery, business continuity, disaster recovery and cloud virtualization. Axcient ensures that all files, applications, and systems are continuously protected and instantly retrievable. Desktops, Laptops, and Servers (physical and virtual) can be backed to the on premises Axcient device for rapid recovery. If your servers fail for any reason, you are just a couple clicks away from being back in business. Fail over to servers on the premises based Axcient device. With Axcient Cloud Continuity you can virtualize your entire IT environment in the Cloud as a failover option. With Axcient, your business critical data and systems are stored both on the local appliance and in the Axcient datacenters. 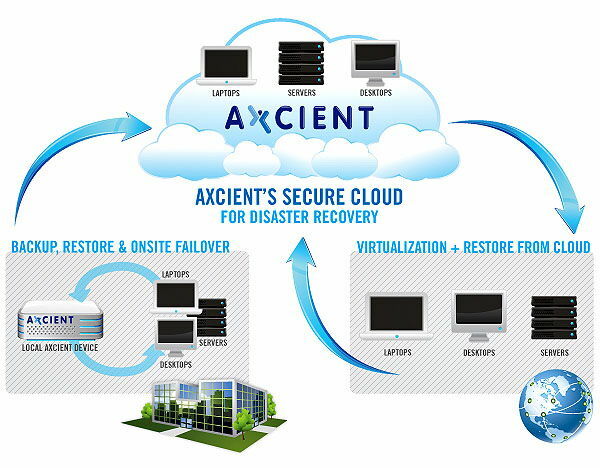 Axcient Cloud Continuity allows you to boot your entire IT infrastructure from the Cloud when disaster strikes. We have delivered peace of mind to many business owners by installing the Axcient solution. 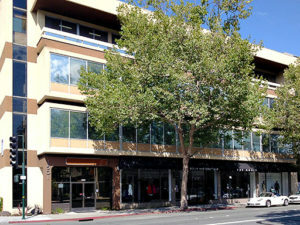 Their businesses now have a demonstrated business continuity strategy that is tested and proven. Call 877-367-8348 or email us to learn more about Axcient solutions!